Have the painted limo all to yourselves! We offer one of a kind team building and fun entertainment for weddings, corporate outings, family reunions and everything in between. 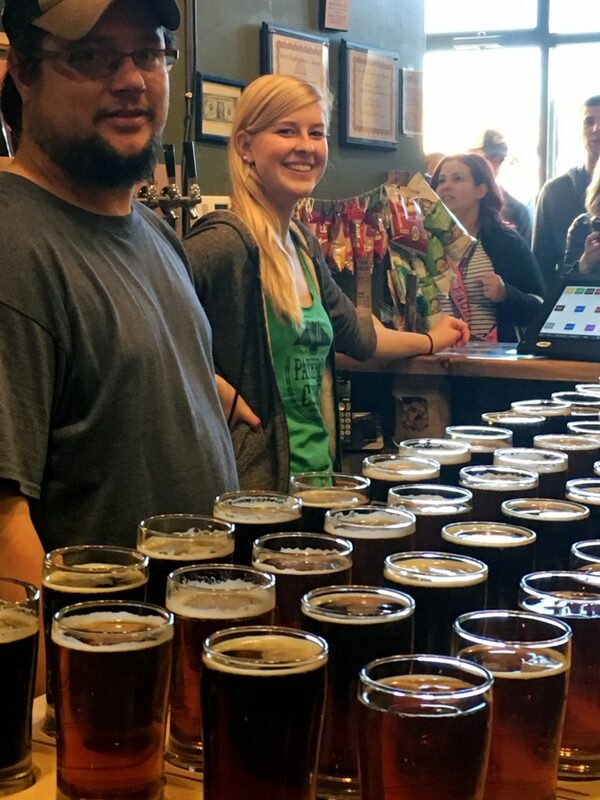 Private craft brewery tours include driver, limo bus transportation with pick up and drop off at a location of your choosing, entertainment and accommodation by knowledgeable craft beer guide, and behind-the-scenes tours of the breweries arranged by Magic Bus Tours. Our fleet can accomodate groups as large as 65. Tour duration, tour content and locations visited can be customized to suit your group’s needs. The cost for a private bus tour for up to 21 guests is $295 for the first 2 hours and $95 for each additional hour. 3 hour minimum on weekdays, 4 hour minimum on weekends. Pricing for up to 65 guests available on request. Private tour price does not include beer. Many locations offer discounted flight packages for guests of Magic Bus Tours. Please inquire to learn more. Private walking tour information is available upon request. How do I book a private brew tour? Do you offer other types of private tours? Any private tour for our other standard tours including sightseeing and history bus tours and ghost tours for up to 21 guests is $295 and includes driver, limo bus transportation with pick up and drop off at a location of your choosing along with entertainment and accommodation by knowledgeable guides. We can also create a customized tour experience containing elements from any of our tours to include brew tours, history tours, ghost tours, and farm tours.